What is it like inside the Shapouri House? 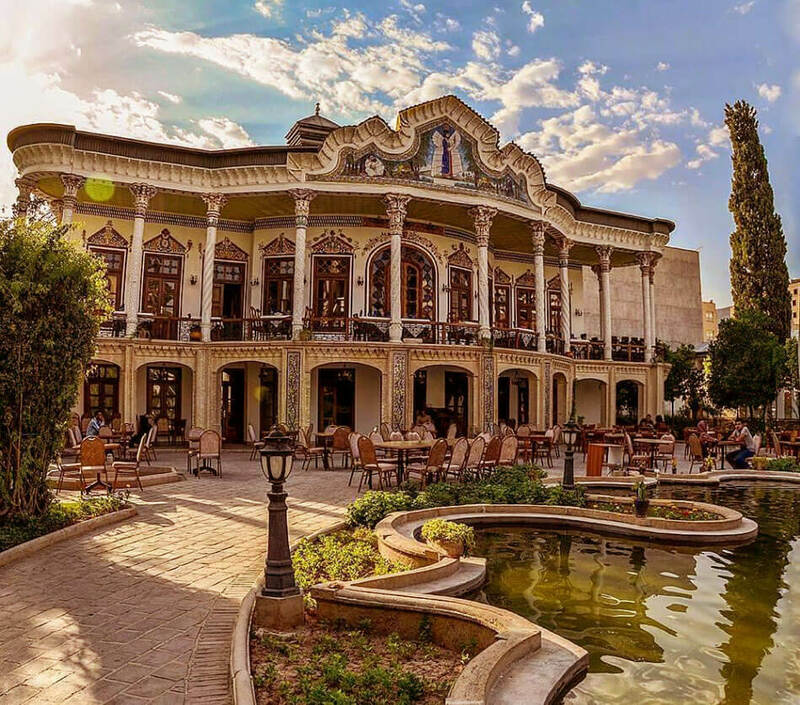 The attraction of Shiraz is that it can surprise you with its beauty, the buildings, the gardens, the streets and even the pleasant weather in the city. 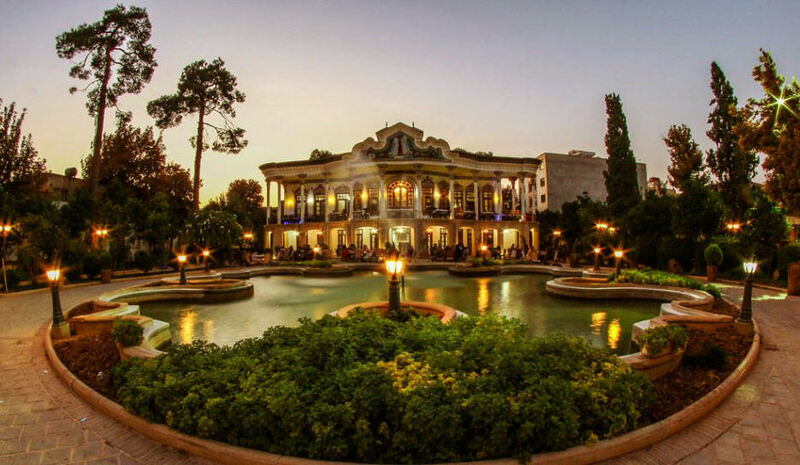 One of the biggest of these surprises is the garden itself and the Shapouri house inside of it, with its distinctive design, with its special lighting that shines like a bright star in the dark sky, with an atmosphere that relaxes you, sounds that cool you down and a host of other things that Shiraz has to offer. Is there a restaurant or coffee shop in the Shapouri House? 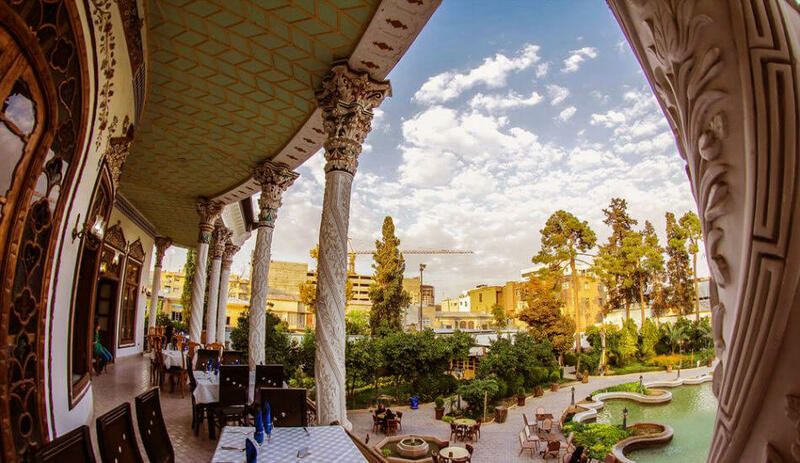 As we mentioned earlier, part of Shapouri House is used as a restaurant and coffee shop, and a variety of traditional Iranian cuisine, fast food, hot and cold drinks are served in the midst of a spectacular view of the garden. Where is the handicrafts and artworks exhibition in Shiraz? 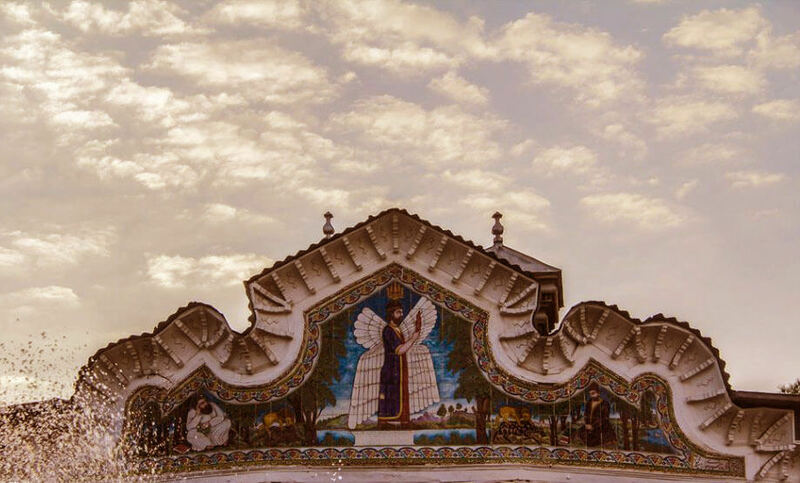 Apart from the Iranian architecture and decorations that have been used in the making of the house, there are other forms of Iranian art used in this complex. 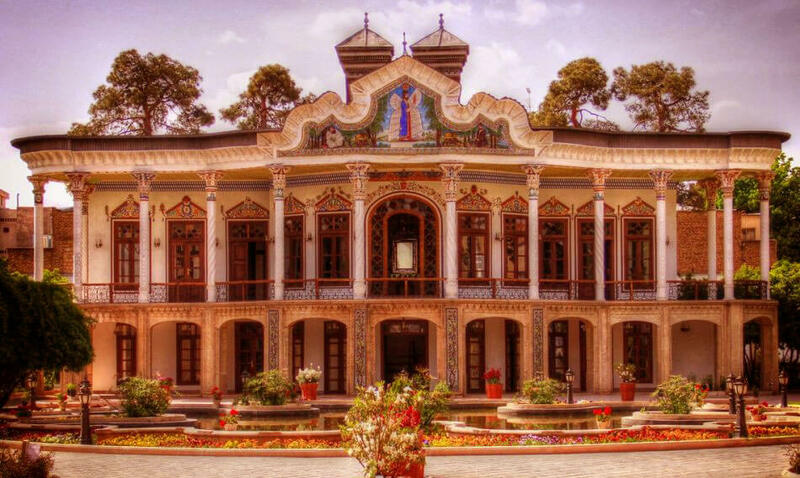 Through the cultural heritage of Fars province and the owner of the Shapouri house itself, in various sections of the house, an exhibition of arts and crafts is on display. It is as simple as just walking in the house. 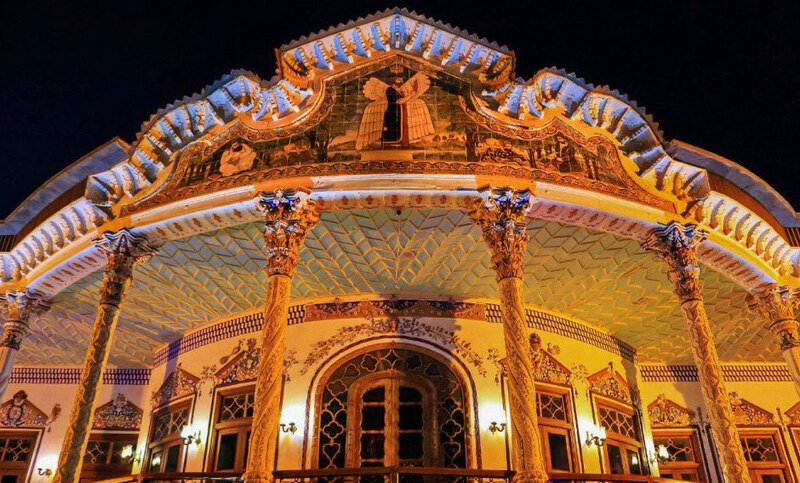 Through that, you can see the handicrafts and arts and enjoy the cultural heritage of Iran and Shiraz all at once. What does the Shapouri House look like? Shapouri House is a private garden and it was built on the orders of a wealthy and well-known businessman, Abdul-Sahib Shapouri. 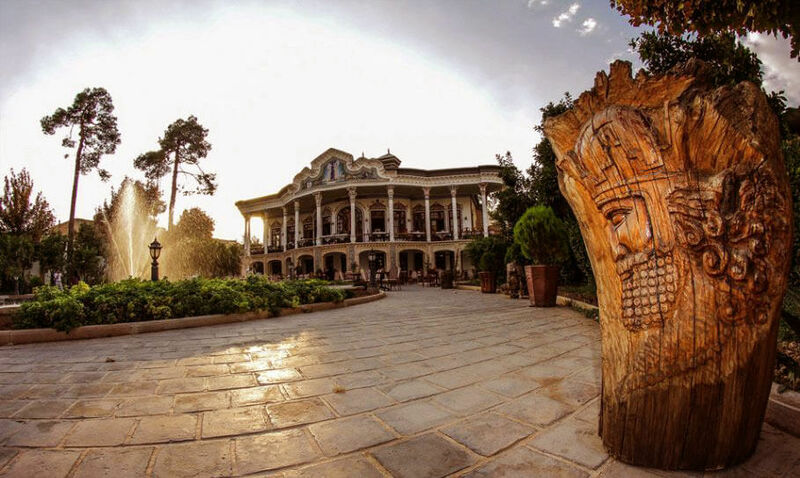 A garden which is different from other Iranian gardens and is different from other gardens in Shiraz such as Eram Garden, Qavam House, and so on. In the Shapouri complex, there are various buildings and sections, each of which has its own particular use according to the place where it was built. In the Shapouri complex, in addition to the central building, there are three other buildings, with two buildings on the northern front. The first building was dedicated to the location of the carriage, the drivers and the staff, and the second building was used as the Andaruni. If the family wanted to travel between these two nearby buildings, they could cross it through a door placed in the courtyard. The third building of the Shapouri complex was located on the southwest side of the gardens and was used as the kitchen. Today there are no remnants of the kitchen, and only the walls of the old building are seen. The northeastern garden was also dedicated to building a greenhouse and a well. 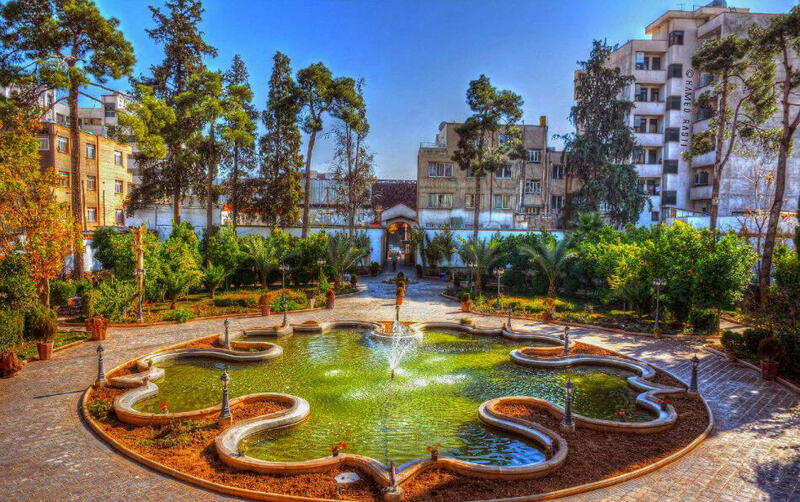 In the Shapouri complex, apart from the buildings we mentioned, there are also famous ponds, which are its main features and are different from other Iranian ponds. The two ponds located in the middle of the garden are shaped like a heart. The pentagon-shaped pond in the past was always full of water, it was used as a pool, and in daylight, with the added reflection from the mansion, the hearts of the viewers and residents of the house was swooped by it. This form of pond construction was not previously seen in the architecture of gardens in Shiraz. A heart-shaped pond is also located in the southwest of the garden and, as its name suggests, has a heart-shaped design. In this garden, there are a number of leafy trees like pine, cedar and fruit trees like pomegranates, figs, oranges and dates, and trees like maple, sycamore and so on. 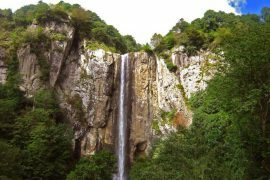 What is the difference between Shapouri Complex and other gardens in Iran? We have already said that Shapouri Garden is different from other Iranian gardens, but what are these differences? 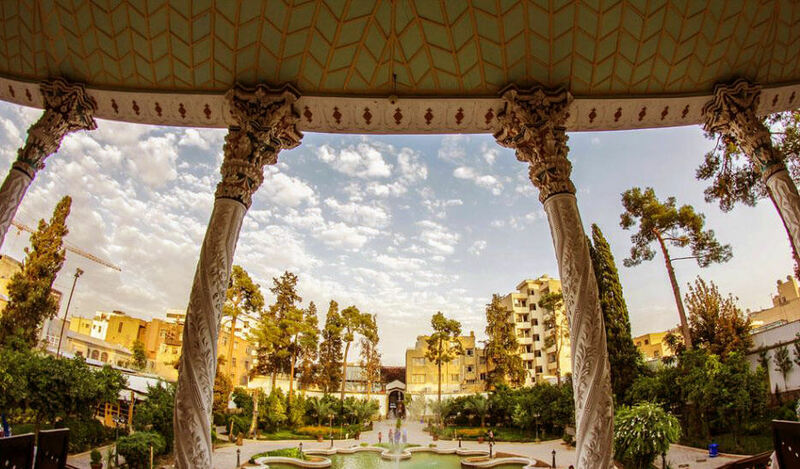 Shapouri Garden is an example of a gardening style in the early Pahlavi period when the design of Iranian gardens was mixed with European gardens, and that changed the way gardens were seen in Iran. What does the design look like in Shapouri Complex? The design of Shapouri Complex is completely non-Persian. By that time, the middle pond in Iranian gardens was often rectangular shaped and in line with the gardens in the main building, but in the Shapouri garden, the design of the pond and its location are completely different from the Iranian architecture. The main pond in the Shapouri Garden is pentagon shaped and the surrounding access paths are circular and curved in order to make transportation easier. The Charbagh and squares were not used, and the trees design was also not based on Charbagh. Among the other differences in Shapouri Garden, one can consider the design of water movement in Iranian gardens with the ones in Shapouri garden. In general, one of the main features of Iranian garden design is the water movement towards the ponds and swimming pools, but this movement is not seen in the Shapouri Garden, and the water that flows in the stream will not reach the garden ponds. Another difference is in the form of pools. The pentagon-shaped and the heart-shaped pond are completely non-Persian, and before that, the construction of such basins in Iranian architecture was rarely seen. Another difference between the Shapouri garden and Iranian gardens in general. Contrary to Iranian garden designs, the planting of trees in the Shapouri garden is not symmetrical, and the garden view axis is completely open; a sign of European gardens. The last difference between the Shapouri garden and the Persian gardens is the placement of the mansion in the garden. Other mansions built in Shiraz’s gardens were located along the central axis of the garden so that the mansion was located right in the center of the garden, and the two sides of it were mirrored. But Shapouri mansion is built on the northern side of the garden and is 90 degrees from the main axis. Of course, there is a kind of mirroring in this garden; for example, ponds and paths are similar to the main axis, but the model of tree planting and their placement is not synonymous. What is the similarity between Shapouri garden and other Iranian gardens? The type of plants used here is similar to Iranian gardens. There are fountains in the ponds. The location of the main building and its approximate size. The enclosure of the garden by the wall are the similarities of this garden with other Iranian gardens. 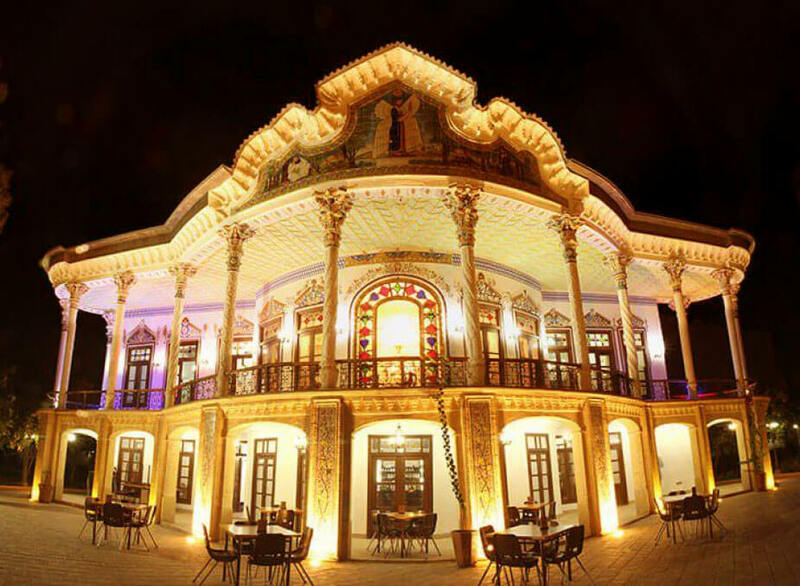 The Shapouri mansion at the time of its construction had a very innovative architecture and was one of the first buildings to be built with this design. When you look at the main building, you will see a two-story building with a gable roof. In the facade of the building, the one thing that receives the most attention is the 14-pillars, surrounded by a balcony, giving it a magnificent effect. Besides these, on the southeastern side of the main view, there is an aisle-open corridor that is the base of the first-floor balcony. The southwest side of the building was also dedicated to a springtime resting place but it was destroyed in an explosion. When you enter the house, after crossing the entrance to the mansion, you will find a central step in front of you where the house’s rooms are built around. 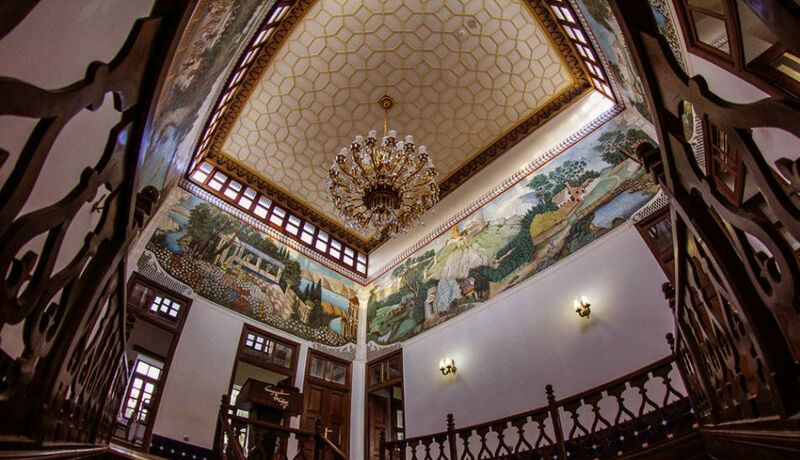 The staircase in the house is one of the architectural innovations of this mansion, which is not visible in traditional Iranian architecture, because until that time staircases were located in the Iranian architecture on the margins, the height between the floors was determined by them and they were a lateral element But in Shapouri mansion, the staircase was given a great deal of attention, decorated with various paintings, and raised as a basic and even ceremonial element. The other role of the staircase is in communicating between the chambers because, before the construction of these stairs, the connection between the different sections of the house in Iranian architecture was carried out through openings between the rooms, but after making this staircase, the rooms were connected through the corridor. The corridor leads people to two sides of the house, the Shah Neshin and other important places. Other architectural innovations in the construction of this building are the assignment of a specific function to the rooms, such as the bedroom of parents, children, and guests and so on. Until now in traditional Persian architecture, the design was that each room had several functions so that it could be used as a bedroom, living room, guest room, reception room and so on. 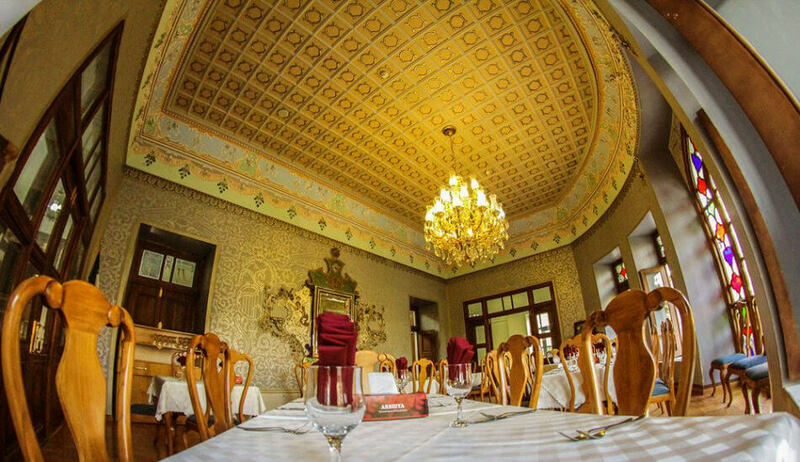 But in Shapouri mansion, each room has only one special function. Another charm and unique feature of Shapouri house architecture is the use of a balcony. 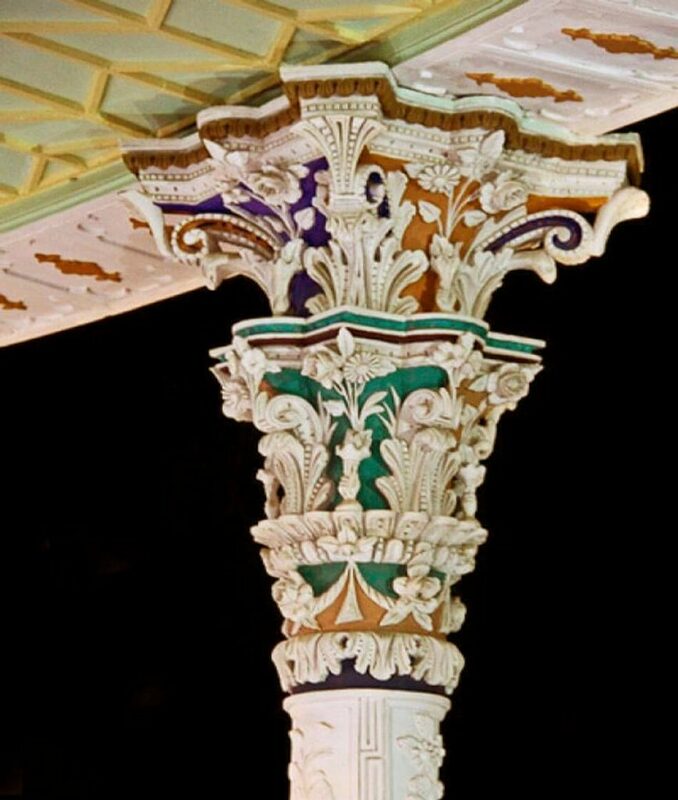 Until then this type of style had not worked well in traditional Iranian architecture and was not used. Then after that, there is a balcony in every Iranian house. The balconies are also located in the backyard (summer residence) of the building and have similar columns as the main house. 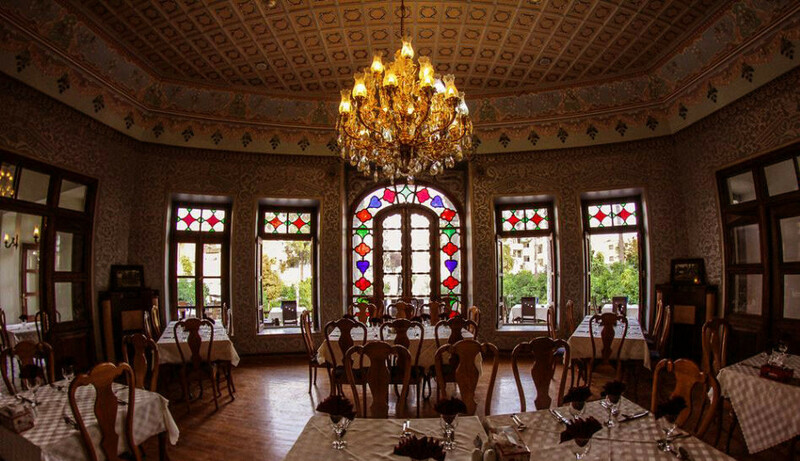 The architecture of the Shapouri mansion is impressive and spectacular, and it is considered as one of the attractions of this magnificent building. When you walk through the gardens to the main house, beautiful decorations like tiling and gluing attract your attention. One of the most famous decorations of this building is a beautiful tile design, imitating the Achaemenid motifs in Pasargadae. In this tile, there is a depiction of a winged man in the center in azure, red, brown and white colors. The high-rise columns of the balcony, which are identical, each have two parts. The pillar and the capital, and they are made with unique details and features. The depiction of a lion attacking an animal, the depiction of Hafez and Saadi in two corners, the gypsum columns of the second floor porch with the Corinthian order, the planting of flowers and plants on the walls of the lower floors, The bricks in the facade, the depiction of an Achaemenid soldier in the interior of the house using wooden decorations on the ceiling and landscapes in the background, these are all depictions in this mansion and they are the source of its beauty. 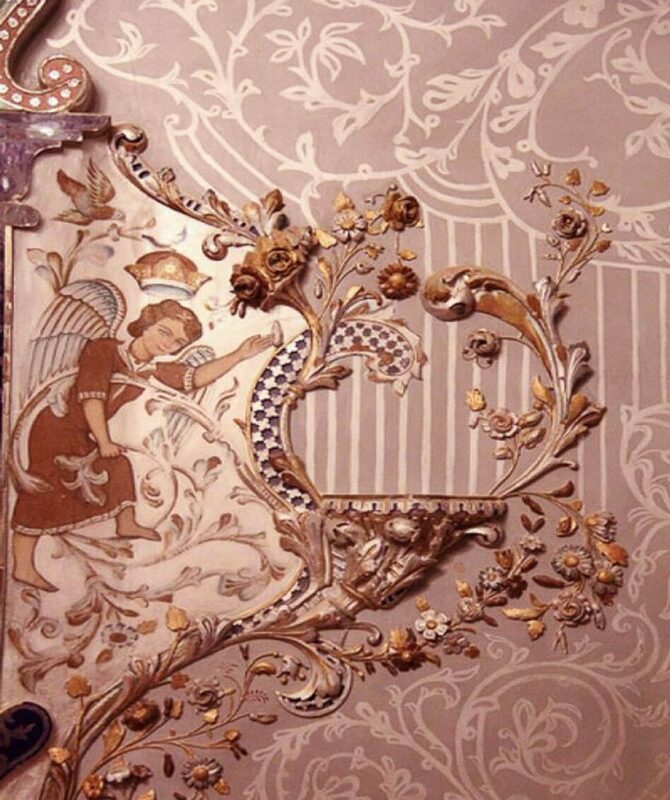 Most of the decorations of the building include the colorful tiling, plastering, and paintings, but what distinguishes this type of decorations in Shapouri mansion is how they were used.